Modern needlewomen create crafts fromVery original materials. Crafts made with own hands from stones are very original and beautiful. In the course are small and big, river and sea, light and dark. After a rest on the sea or another pondThere are many natural souvenirs. They can be collected specially, or they can entrust this task to children. 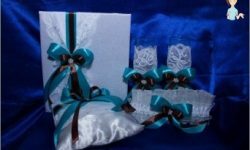 With a little effort and imagination, they receive interesting crafts that fit well in the decor of the house, garden or dacha. In addition to natural materials, paints, glue, polymer clay and plasticine are used. You can create not only crafts from marineStones, but also ornaments, for example, pendants, bracelets. This material has a different size and a rounded shape, so it can be successfully applied to the manufacture of beads and even buttons. 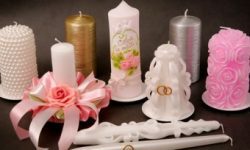 If there are no holes in it, they are made independently with the help of drills of different sizes or in a jewelry workshop. The simplest version is an artwork in the formMagnet on the refrigerator. All that is needed for work is the magnet itself and the paint. The first is glued on one side of the stone, and the second draws the loose at its own discretion. Small pebbles are perfect for finishingWith their own hands of elements of decor and life, for example, caskets, flowerpots, vases, plates, etc. All of them are made out on the same principle. You can decorate the room with a transparent vessel, which is covered with small pebbles. Such containers serve as supports (under the office, cosmetics) or candlesticks. Sometimes small pebbles are not glued, but put on plasticine. Surely in every house where there are kids, there isBoxes with stones collected on the sea, by the river or just on the street. 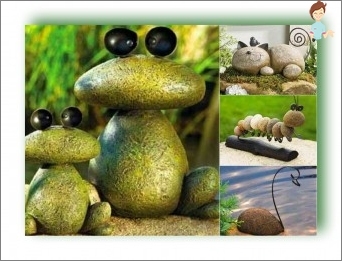 To the material does not lie just like that, you can make cute children's crafts made of stones. The easiest option is to draw. Draw as a variety of patterns, and animals. An interesting option will be the alphabet or numbers, then the learning process will go much more interesting, especially if the child himself took part in their design. One of the most popular are the images of flowers and ladybirds. Even small children with the help of adults copeWith this task. In addition, on the surface you can draw a funny face and create her hair with thread and glue. Some crafts, for example, bears, snowmen, etc., are made from several pebbles of different sizes, having previously painted them. Another option is the applique. 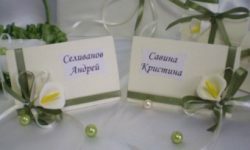 To work, you will need small flat stones that are neatly placed on a board or other dense base in the form of flowers. This idea can be used to create a kind of aquarium, which will swim fish-pebbles. It is not necessary to use glue for fixation. Excellent fit and plasticine. In addition, it will be much easier for children to work with the latter. It is worth noting that natural materials perfectly match with any other, so crafts can be supplemented with glass, plastic, paper, cloth, etc. Making such children's hand-made articles, kids learn perseverance, accuracy, they develop a small motor skills of their hands, and also develops fantasy. Today, very popular decor elements fromNatural materials. Many interior designers use them in their collections. However, you can make such things yourself, for example, coasters and rugs. The first used for pots, vases, hot dishes, plates, glasses and just for decorating surfaces. Mats from pebbles will not only be originalDecoration of the house, but also an excellent simulator for people with flat feet. The texture of such a path has a beneficial effect on blood circulation and muscle tone. To make a rug or stand, you need a solid foundation, the material itself and glue. 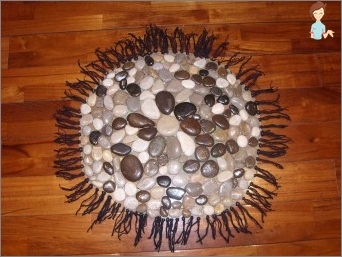 Pebbles are mainly attached to carpet or other textiles. Fix them better with a special gun withHot glue. The pebbles can be laid in any order or create an intricate pattern. When the stand is made, it can be covered with paints or varnish, but this is only if it does not come into contact with water. Having manifested a fantasy you can "Raise»Stone mushrooms and flowers. Crafts from stones - original, unique andInimitable decor for home and street. Just a little time and effort - all that is necessary for a fun pastime with children. 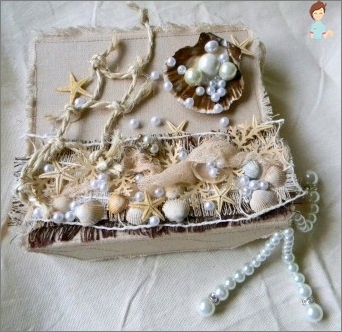 Thus, you can create a beautiful decor element or a practical thing.